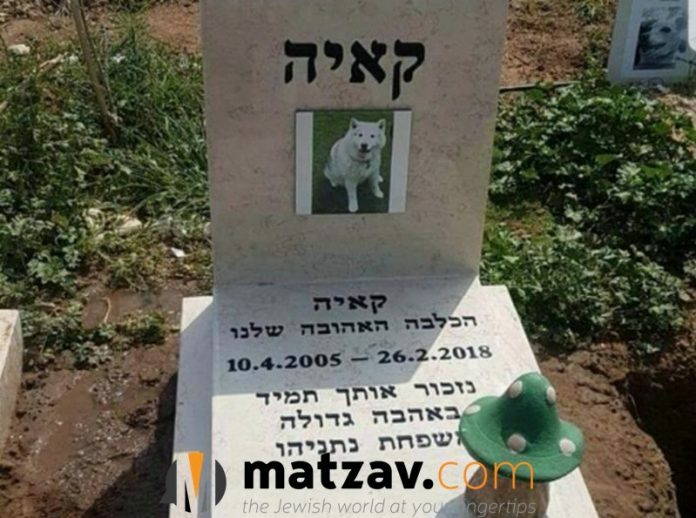 A matzeivah – or tombstone – has been erected at the grave of the Netanyahu family dog, Kaiya, which passed away on February 26th. Kaiya was adopted by the Netanyahu family as a rescue dog when she was ten years old. Now Kaiya has a matzeivah, which states “Kaiya” in large Hebrew letters, followed by a picture of the dog. 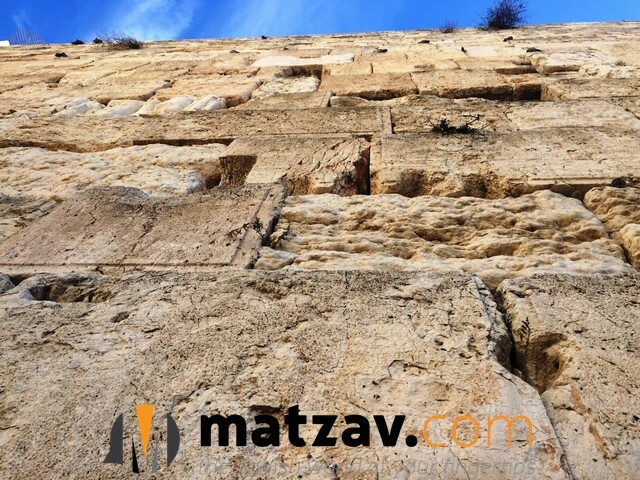 Below that, it says, “Kaiya – Haklba Ha’ahuvah Shelano” (Kaiya – Our Beloved Dog). It then states “10-4-2005 – 2/26/201,” depicting the lifespan of the canine. The dog (I won’t call her by her technical name…) “passed away”??? I just hope she wasn’t buried in the family section, but in the pet cemetery…that wasn’t mentioned. to you posters.. are u from PETA? ולכל בני ישראל לא יחרץ כלב…..
Six million of our people did not merit Kever Yisroel but this dog did? How sad and how disgraceful. 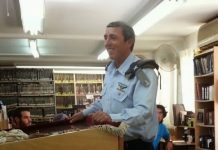 The dog merited kever Yisroel? How? The other dogs it was buried with are all Jewish ע”פ הלכה? They all had a proper geirus? For how many days/weeks did the Netanyahus “sit shiver” for their dog? After all she did have a funeral and even a “mateiver” was erected for her. The secular tziyonim find space to bury a dog but gush Katif residence got kicked out of their homes like dogs. “We will always remember you” written in on the Matzeiva. What a waste of memory brain cells! No dogs barked when kllal yisroel went out of Mitzrayim.